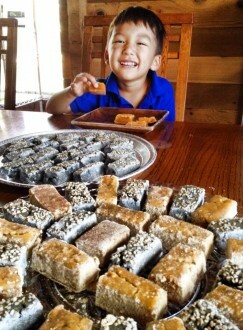 Mauna Kea Tea is open to the public by appointment. You can taste our seasonal teas and purchase directly at the farm. We have a small tasting room overlooking the tea fields. Please call 808-775-1171 or email us to let us know of your intent to visit because we believe that each customer deserves our full attention and should be treated as an important guest. You can purchase our tea and gifts directly at our farm during business hours. Also, our roadside fruit stand is sometimes stocked with seasonal fruits and vegetables. Since we’re often out in the fields please call ahead* to ensure that someone will be present to meet your arrival. 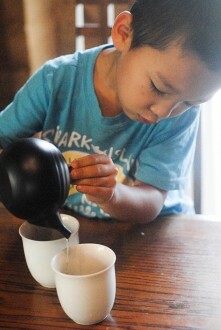 If you are interested in an extensive tea experience, consider taking our private farm tour and tea tasting. We will take you out on a guided walk in our tea fields and taste our seasonal teas at our tea room. Generally available days and times: Monday and Fridays at 2pm. Other times may also be available, please inquire. Please note that during busy harvest periods, tours may not be available. Please be sure to reserve in advance. The year’s end is approaching and the farm is bustling with activity. Come enjoy this fall with a festive tour and tasting. Discover something about the environment and practices of tea. We’re happy to share insight into our production and re-connect with friends, neighbors, and ourselves. 2. Follow the paved road all the way to the stop sign. Turn a sharp right onto Old Mamalahoa Hwy. 3. Go 0.6 miles. Mauna Kea Tea is on the right side in a dark brown house. The first landmark is Koji’s fruit stand. A black mailbox marked 46-3870 marks the driveway entrance. When you arrive please come into the garden and around the left side of the house. You’ll see the downstairs office entrance and tea fields. 2. In 100 feet, turn right onto Old Mamalahoa Hwy. 3. Go 2.4 miles staying left at the junction with Kapuna Rd by Ahualoa Hog Farm. 4. 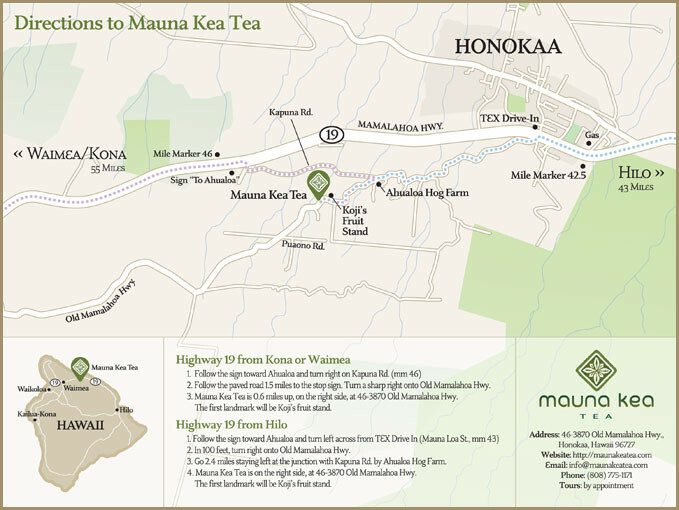 Mauna Kea Tea is on the right side in a dark brown house. 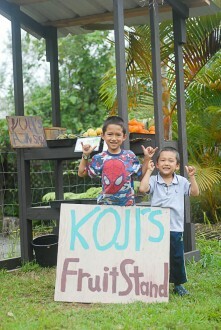 The first landmark is Koji’s fruit stand. A black mailbox marked 46-3870 marks the driveway entrance.